The course focuses on the principles of training, including weight training and fitness, recovery, treating injury and illness, drug education, nutrition, goal setting and stress management so that our young men develop an understanding of appropriate physical training and medical requirements for involvement in high performance sport. The High Performance Programme also offers opportunities to develop strong technical competence in their chosen sport, through the use of video analysis, skill assessment and development, and position specific criteria. Achievement Standards are offered at both Year 12 and 13 for this course. This class is offered to invited students who have a genuine interest in the Performing Arts. Students will study Drama, Music, Singing, Dance, Speech and Presentation techniques. Students will enter the New Zealand Theatre Federation One-Act Play Festival, Trinity/Guildhall Music Theatre Examination in August and present a major work at the end of Term 3 for public performance. This co-curricular course is to develop students’ interests in the Performing Arts and to further develop life skills that will be of benefit to their future careers. At the completion of his secondary schooling at SBHS, during which time he acehived his ATCL qualification, George Mason was accepted into the prestigious Toi Whakaari New Zealand Drama School in Wellington. 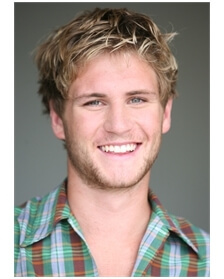 George has been successful in landing a role in New Zealand’s longest running drama, Shortland Street. “50 Ways of Saying Fabulous” was his first acting role at the tender age of 13. George is currently screening in a NZTA drink drive ad and he has just landed a role in The Blue Rose, which will start screening on TV3 later this year, and will be working alongside another household name, Antonia Prebble. 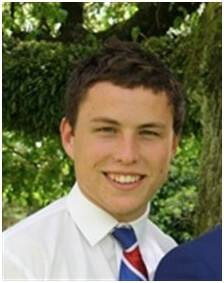 Taylor chose to attend Southland Boys’ High School as his long term goal was to play Rugby for the 1st XV. In Year 12 he made the 2nds and in Year 13 he was selected for the 1sts. No-one was more surprised than he when he decided not to play for the team because of his commitment to drama. Taylor studied Speech and Drama and left school with his ATCL. He was in the winning team that won the New Zealand Theatre Federation Bryan Aitken Best Youth Production. The High Performance Performing Arts students have just been awarded a High Merit Pass in the recent Trinity Guildhall Performing Arts for Grade 8.